Time flies (especially during the summer), and beers you mean to brew get pushed back in the queue as, say, your homegrown hops ready to harvest early; you brew a special beer on your birthday; or you realize your kegerator has run dry and you need a daily sipper — stat! It turns out all of these scenarios occurred this summer, but it’s the final example that prompted Gregory and I to brew this beer. When you brew with another person, it’s easier to keep beer in the pipeline because you brew more often to keep two homes stocked with draft beer. 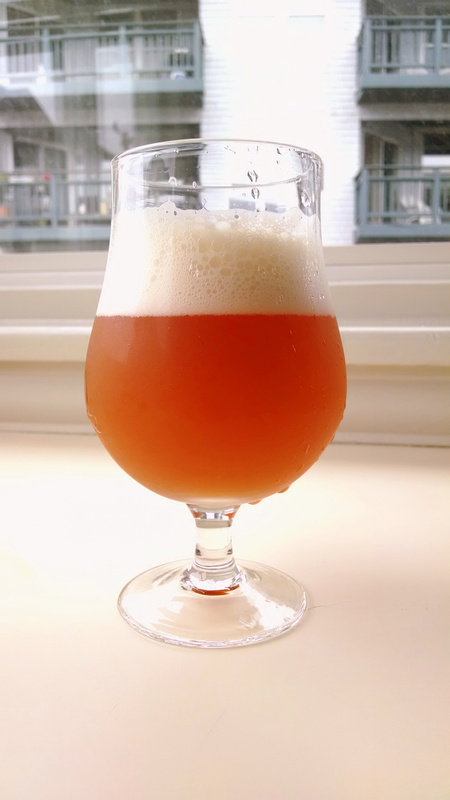 Gregory and I encountered the peculiar (and terrifying) realization that both of our kegerators were dry, so we fast-tracked this beer after I brewed the #1 Summer Jam IPA so that Gregory would have draft beer to enjoy at home*. And that we did (and it turned out delicious). Below you will find our recipe and tasting notes. The experimental pine fruit hop we used is now marketed as Eureka. Happy brewing! * Turns out this beer went on at my place directly after the #1 Summer Jam IPA because Gregory had some beer he brewed leftover from a friend’s wedding, and that needed to be imbibed. 0.50 oz. Columbus (Pellet, 15.0% AA) @ 60 min. 1.00 oz. Ahtanum (Pellet, 4.6% AA) @ 05 min. 1.50 oz. Exp. Pine Fruit (Pellet, 14.0% AA) @ 0 min. 1.50 oz. 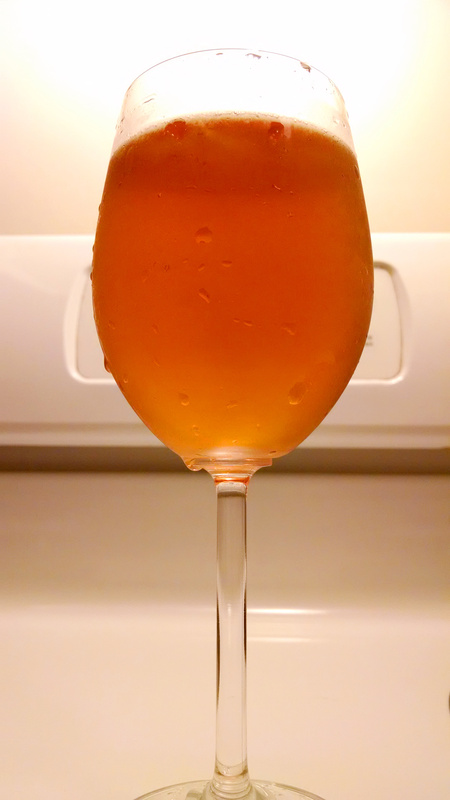 Citra (Pellet, 13.7% AA) @ 0 min. 1.00 oz. Sorachi Ace (Pellet, 9.1% AA) @ 0 min. Hazy orange-gold color with billowy white headstand and thick lace. Lush aromas of guava, strawberry, cedar, lemon, and grapefruit. Underlying hint of rose-like esters and peppery geranium-like phenolics from the Belgian saison yeast — taken together the bouquet reminds me of white wine sangria. Nuanced palate with flavors that follow the nose, some notes of pear and pineapple appear in the middle. Long drying finish on the bitter side with a suggestion of black pepper, and a residual tropical-juicy sweetness. This post will detail two recent saisons that we brewed for and/or during spring here in the PNW. 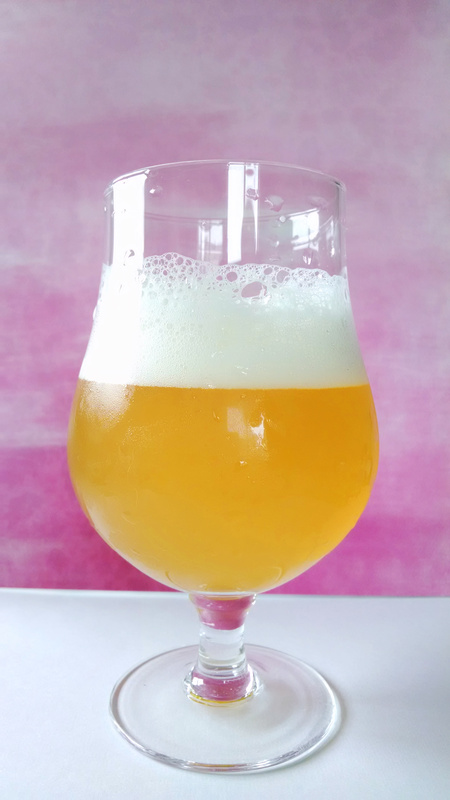 The first is a version of our pink peppercorn saison that we added wisteria and lilac flowers to and heavily hopped with Chinook (we had a bunch laying around and had to use them up). 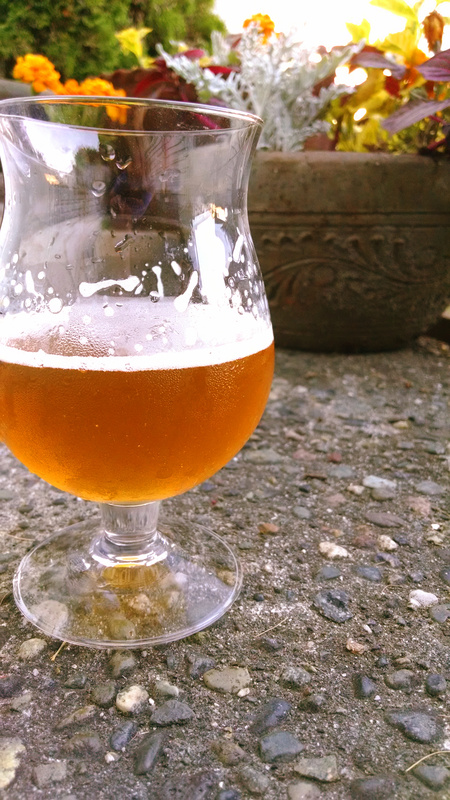 The second is a fir tip table saison we brewed using fir tips Gregory foraged in Leavenworth, WA. I’ve wanted to use lilac in a beer for a while now and figured it would marry well with the floral peppercorns and Chinook’s earthy-spicy notes. While Nate, a longtime friend of mine, was visiting I brought this up to him and he recalled that he had success using wisteria in a saison. 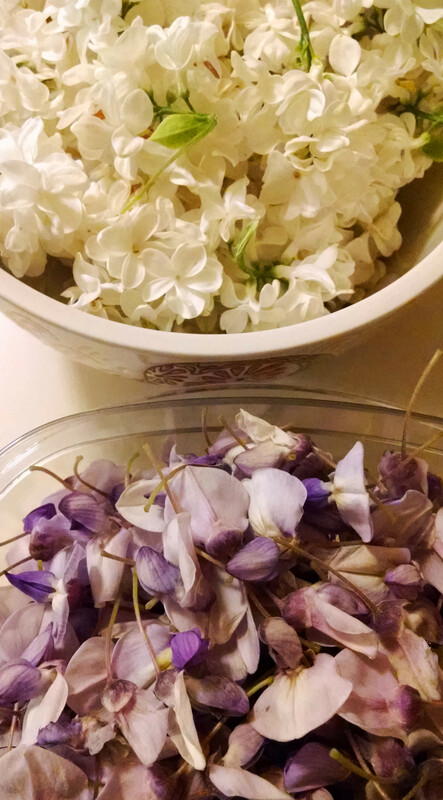 In West Seattle both lilac and wisteria grow abundantly and were available early as we’ve had a very warm season, so I decided to use them both. Gregory and I wanted to experiment with ester and phenol production as they relate to fermentation temperature with our go-to saison yeast — we usually use the brewbelt with Wyeast’s French Saison strain, which sometimes produces more bubblegum/banana notes than we desire — so we opted to let the yeast “free-rise.” We used the same grain bill as our previously brewed pink peppercorn petite saison, but got better mash efficiency and attenuation so we ended up with a higher ABV and a drier beer. 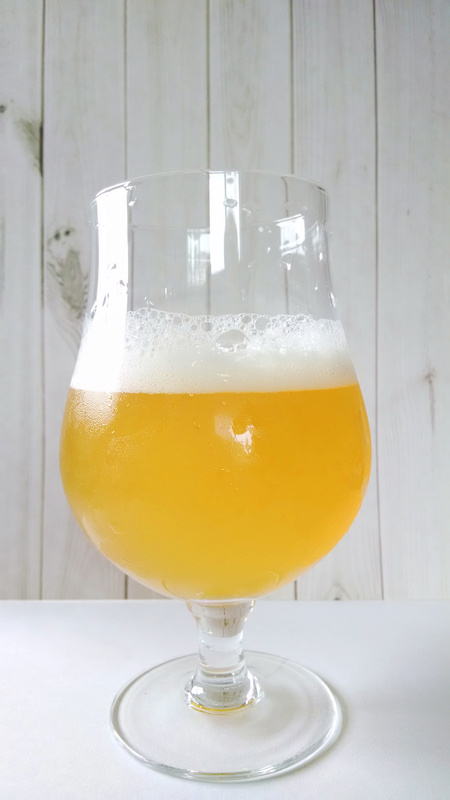 The absence of the brewbelt almost eliminated the esters/phenols associated with saisons, resulting in a beer that is more akin to a pale ale than a saison. 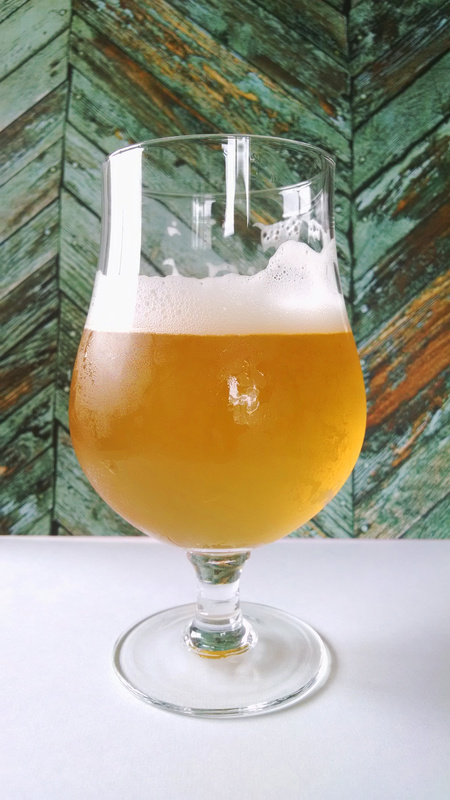 For the fir tip table saison, we wanted something very light, dry, and easy-drinking. We simplified both the grain bill and the hop additions, using classic European hop varietals. 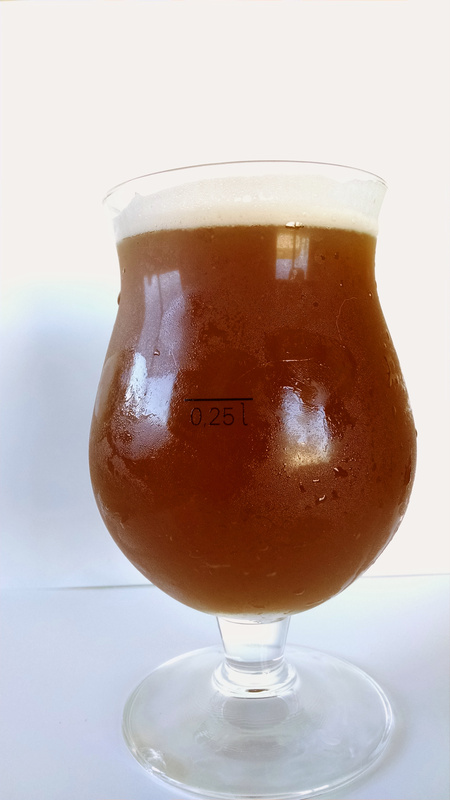 Knowing we usually get better efficiency/attenuation than what Brewtoad calculates for session beers, we crafted a recipe that they determined would only be about 2.9% ABV to arrive at our desired 3.5% ABV. We used White Labs’ Belgian Style Saison Blend and used the brewbelt for a shorter amount of time than we normally do (3 days as opposed to a week) to continue experimenting with ester/phenol production. 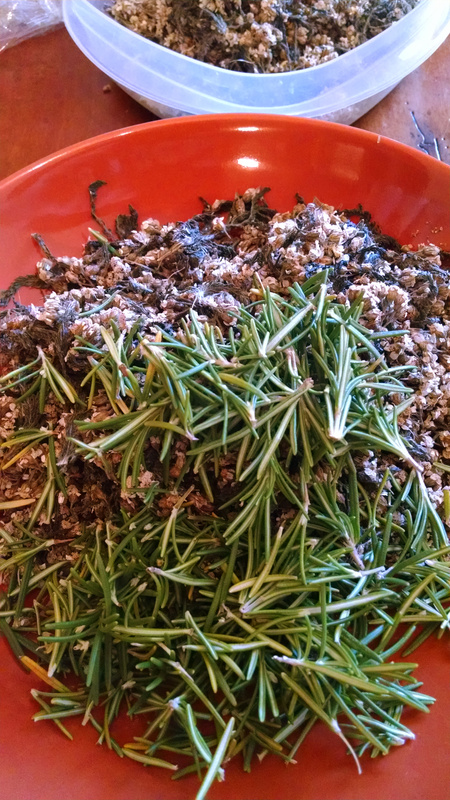 We added the fir tips from Leavenworth twice in the boil. 0.30 oz. Magnum (Pellet, 13.0% AA) @ 60 min. 0.50 oz. Chinook (Pellet, 12.0% AA) @ 10 min. 0.50 oz. Horizon (Pellet, 12.0% AA) @ 10 min. 2.00 oz. Chinook (Pellet, 12.0% AA) @ 01 min. 0.80 oz. Saaz (Pellet, 3.2% AA) @ 0 min. 7.0g Pink Peppercorns (ground) @ 5 min. 04.27.16 — Split the batch and bottled two gallons with 2 oz. corn sugar for 2.6 volumes CO2, and kegged the remaining three gallons, adding the flowers in the keg for 5 days before removing them. Yellow-straw color and clear with a large fluffy white head stand that dissipates slowly and laces thick. Big floral notes and a hint of peppercorn on the nose. Hardly any saison esters/phenols detected. Body is very dry and crisp with the herbal, grassy and spicy notes of Chinook dominating the palate. Finishes with vivid and lingering earthy bitterness, and some peppercorn spice. 0.75 oz. East Kent Goldings (Pellet, 5.7% AA) @ 60 min. 1.00 oz. East Kent Goldings (Pellet, 5.7% AA) @ 5 min. 1.00 oz. East Kent Goldings (Pellet, 5.7% AA) @ 1 min. 1.80 oz. Fir Tips @ 5 min. 1.80 oz. Fir Tips @ 1 min. Pale-straw color with large fluffy white head stand that dissipates quickly and laces medium. Light grainy pils malt and a hint of bubblegum on the nose. Citrus and pine form the fir is mellow but center stage on the palate. Light and creamy mouthfeel with a round and smooth bitter flourish on the dry finish. I was reading Michael Tonsmeire’s American Sour Beers and I got to thinking we should experiment a little — ie: “what if we reversed the usual brett. beer protocol and pitched the brett. first and the regular yeast afterwards?” I knew that big pitches of brett. may act as a normal yeast and complete primary fermentation rather quickly (2-3 weeks), and that brett. will eat left over nutrients from dead yeast cells, creating interesting and complex esters. So we disregarded the fact that the saison yeast would probably have few (if any) sugars left to work with and would probably die, and went ahead with the experiment to see what would happen. 1.00 oz. East Kent Golding (Pellet, 5.0% AA) @ 60 min. 1.00 oz. Sterling (Pellet, 7.5% AA) @ 30 min. 1.00 oz. Sterling (Pellet, 7.5% AA) @ 5 min. A hazy beer despite the long maturation period. Long lasting head that laces nicely with each sip. Lush and sweet fruit on the nose akin to over-ripe apricots and nectarines, almost Starburst candy-like, with an underlying funk that reminded me of parmesan cheese when the beer was young. 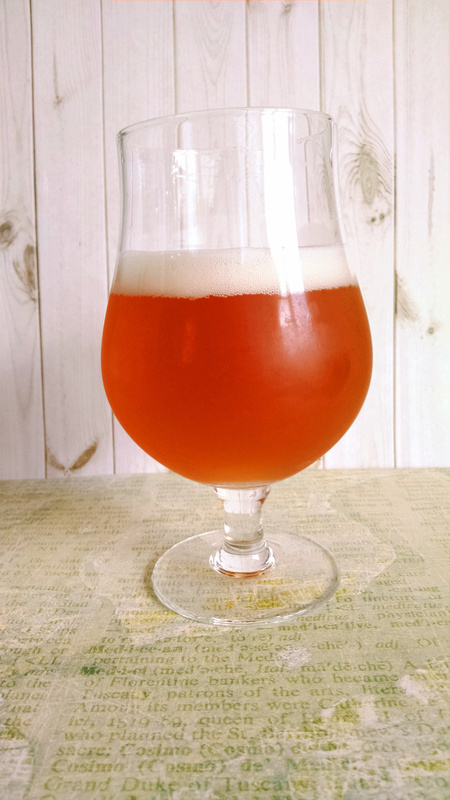 The plums are front and center on the palate where their sweetness is carried along by the carbonation, and a slow decay into a round tartness occurs, bringing a less saccharine Sweet Tarts candy vibe to mind. A quick herbal tea note announces itself if you warm the beer in your mouth. It has a tart and tannic stone fruit-skin finish that lingers, eventually drying the palate. Gregory and I brewed this saison back in June 2015 and we ended up bottling a few gallons and kegging the rest. Though we thoroughly enjoy hoppy beers, we also love brewing experimental hop-less brews that take their inspiration from historical beer styles and bygone brewing techniques. The name Saison Achillea is a reference to the binomial name of the flowering plant widely known as common yarrow, Achillea Millefolium. We used foraged yarrow as well as a small amount of foraged local lavender (another plant traditionally found in gruit) in the production of this beer and pitched our go to saison yeast, Wyeast 3711 French Saison. Yarrow has a varied history and mythology, including being revered as a healing herb and magical plant in ancient Greece. In China, the I-Ching is traditionally cast with yarrow stalks which represent the Yin and Yang forces of the universe. 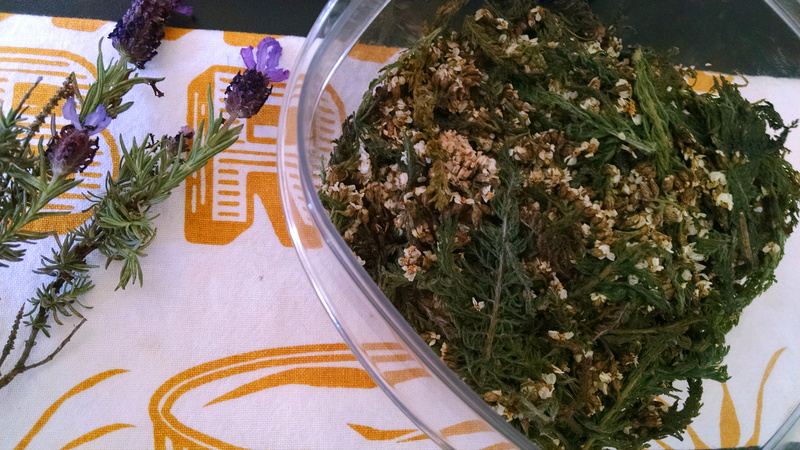 In Native America, yarrow was used as a medicinal herb by tribes across the continent. 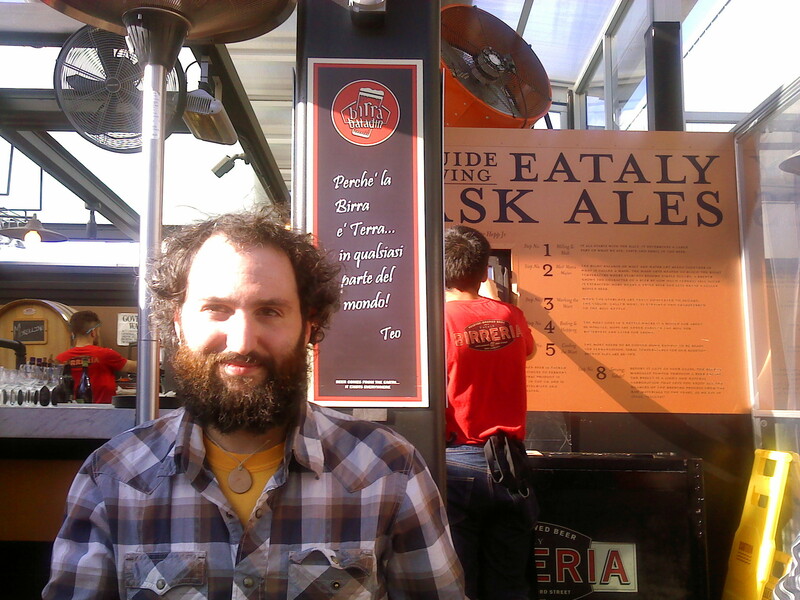 In beer, yarrow imparts a sweet floral fragrance but acts as a bittering component and imparts tartness on the palate. I consider this a sour beer, although we didn’t pitch any bacteria; all the tartness comes from the yarrow. 6.00 oz. Yarrow @ 60 min. 4.00 oz. Yarrow @ 5 min. 0.50 oz. Lavender @ 5 min. 0.50 oz. Lavender @ 0 min. 0.75 oz. Yarrow @ 0 min. 06.08.15 — Made a 1L starter with 1 Wyeast 3711 French Saison smack pack. Brewtoad suggests 224 billion cells to ferment 5.5 gal. Cold crashed and decanted morning of brew day. This beer is quite clear now that it has had time to bottle condition for over four months. The aroma is floral and herbal-sweet like tea with a hint of lavender. Surprisingly, there’s not much in the way of spicy saison yeast phenolics or fruity esters (though I don’t recall if we utilized the brewbelt this time around). The yarrow dominates the palate, starting as an herbal, sweeter ginger-like note before it melds into the malt backbone which is reminiscent of wild honey. There is a hint of lavender sweetness before the yarrow returns to dry out the finish with some balancing astringency and acidic tartness that pierces the sides of the tongue and lingers on. 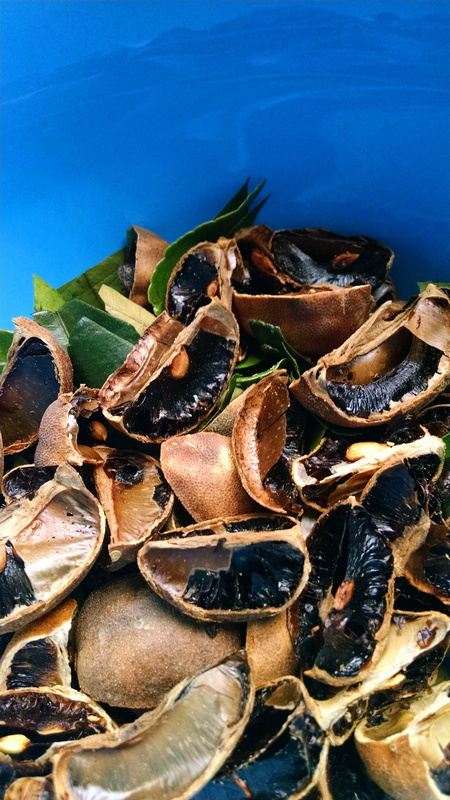 The loomi, also known as the black lime, is a sun-dried lime that is commonly used as a spice in Middle Eastern cooking. Gregory had used them before in a beer and liked the results, so we decided to use them and lime leaves (we wanted makrut lime leaves, but had to settle with those found at Thriftway) for the second of our three Yeast Bay fermented ales. For this beer we constructed a pretty basic saison recipe with minimal IBUs, and utilized The Yeast Bay’s Farmhouse Sour Ale blend which “contains two farmhouse/saison Saccharomyces cerevisiae isolates, Lactobacillus brevis, and Lactobacillus delbreuckii.” In keeping with the citrus theme, we also decided to use a Yakima Valley Hops hop called Experimental Lemon Zest, and will add 0.50 oz. of fresh lemon zest with the dry hops five days out from kegging. 0.30 oz. Experimental Lemon Zest (Pellet, 14.0% AA) @ 90 min (first wort). 0.70 oz. Experimental Lemon Zest (Pellet, 14.0% AA) @ 0 min. 3.00 oz. Black Lime @ 0 min. 1.00 oz. Lime Leaves @ 0 min. No starter on account of fresh yeast and the desire to keep the bugs in the blend at the manufacturer’s intended ratio. Pours a clear pale golden color with a moderate head stand which laces thin. Lots of lemon-lime citrus on the nose with a hint of earth and sweet fresh lemon reminiscent of potpourri. The citrus also dominates the palate, which is crisp and dry, with notes of tree bark and a suggestion of smoke surfacing in the middle from the loomi. Never becoming very sour, this beer finishes with some lactic tartness, a round bitterness, and a lingering note of citrus. 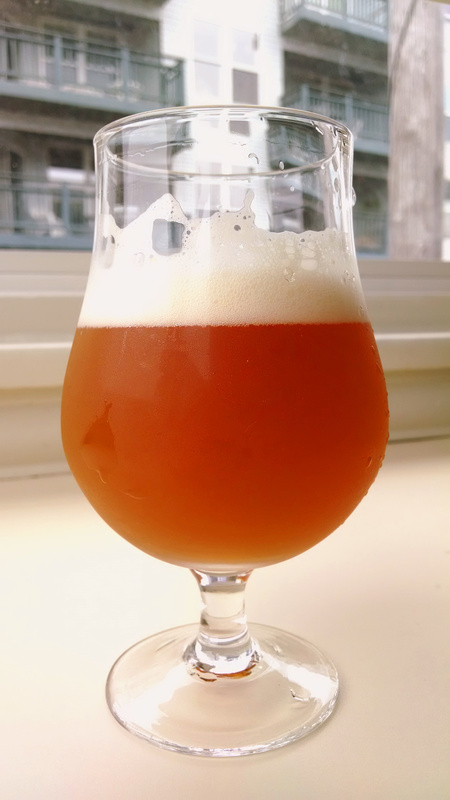 Back in March of 2014 Gregory & I collaborated on a Ginger Kumquat Saison that turned out great and received an honorable mention at our first homebrew competition, the 2014 Aroma of Tacoma competition (I’ll eventually get it posted up here). Based on the success of that brew, we began kicking around ideas for other Saisons we’d like to someday brew. In late September we decided on a dark rye Saison suitable for the winter months which would incorporate the other half (12-13 lbs.) of the Cabernet Franc grapes we bought from the grape crush. 0.75 oz. Perle (Pellet, 8.5% AA) @ 60 min. 0.75 0z. Perle (Pellet, 8.5% AA) @ 30 min. 1.00 0z. Perle (Pellet, 8.5% AA) @ 1 min. 0.50 oz. Perle (Pellet, 8.5% AA) @ 0 min. 10.06.14 – Made a stir-plate 2L starter with 1 White Labs WLP072 vial. Brewtoad suggests 210 billion cells to ferment 5.5 gal. Cold crashed and decanted morning of brew day. 10.08.14 – Chilled wort to 70F before pitching yeast starter. 10.08.14 – Put fermentor onto brewbelt and holding steady at 70-75F. 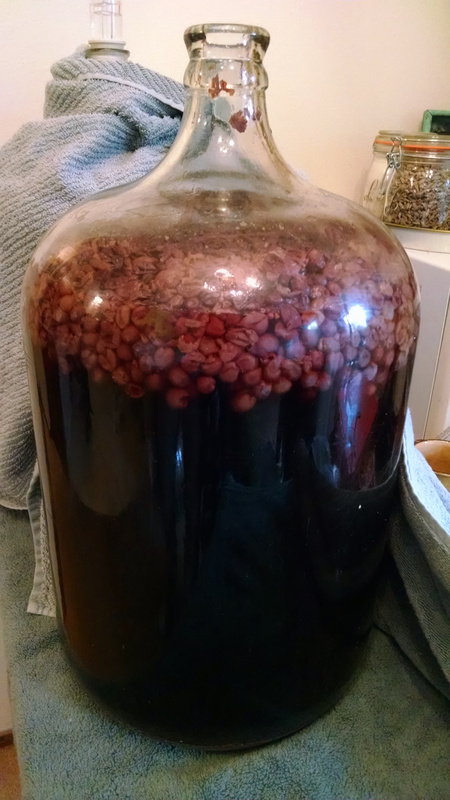 10.18.14 – Transferred to secondary fermentor and added the Cabernet Franc grapes. 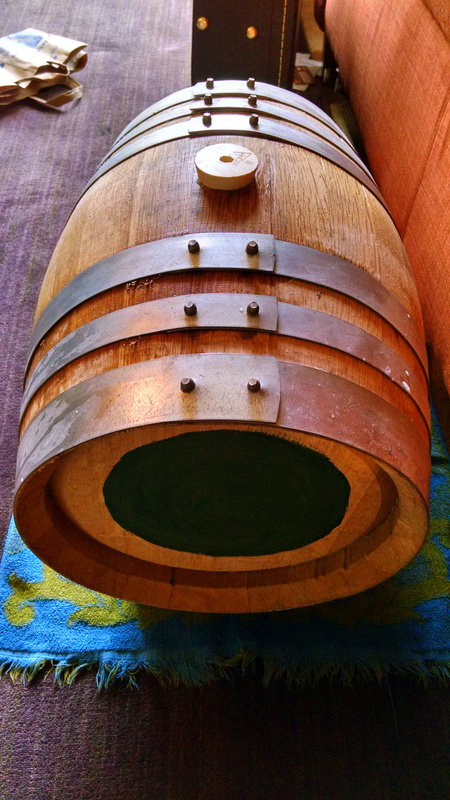 11.19.14 – After 32 days in secondary on the grapes, we transferred to a tertiary fermentor and put it back onto the brewbelt. 12.29.14 – Brewed a second batch of the base saison to blend with the grape version. 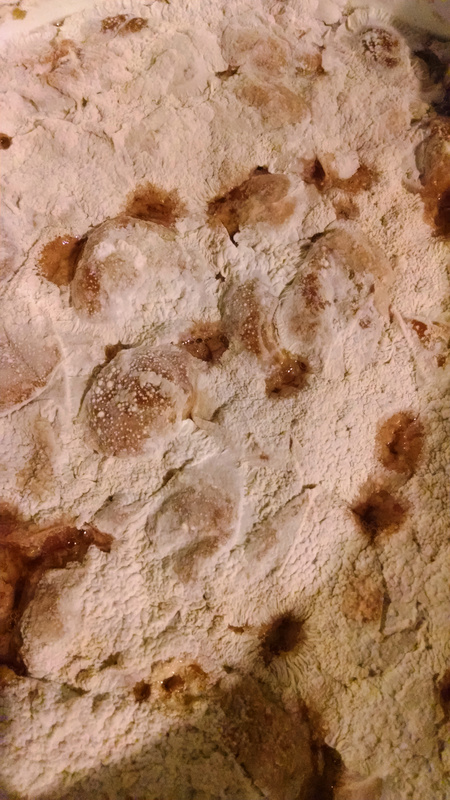 01.16.15 – Transferred the second rye saison to secondary after 18 day primary fermentation. 01.28.15 — Blended the two saisons to taste (roughly half and half, leaning a tad more heavy on the regular version). 02.18.15 — Bottled the finished beer in 750ml cork and cage bottles. Slightly over carbonated with a reddish-brown color and billowy white head. Nose is reminiscent of minerals and cherry pits with some fruit still left on them. An initial sharp carbonic bite requires the imbiber to let the brew warm on the tongue where juicy vinous notes are revealed, followed by some light rye spice. 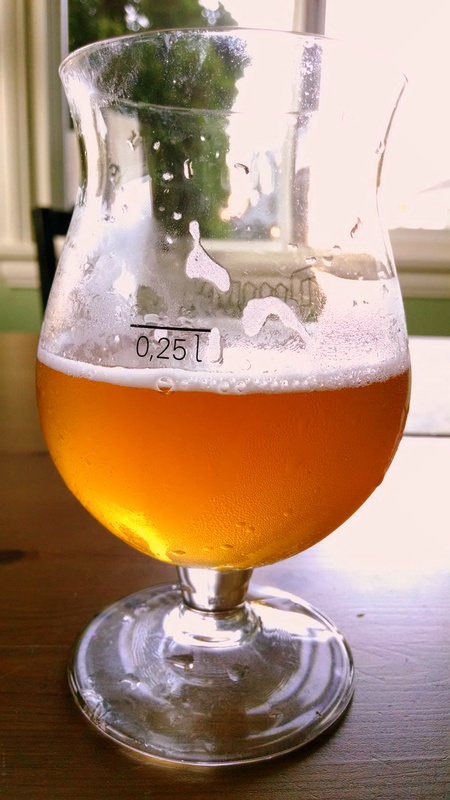 There are some astringent phenolic notes from the French Saison yeast that aren’t unpleasant. It finishes very dry and akin to mineral water due to the brett., with a slight alcohol note and a faint fruitiness that makes me think of dried fruit leather.